So, a couple months ago, I took a fondant cake decorating class. Here’s my first, admittedly ugly, attempt. 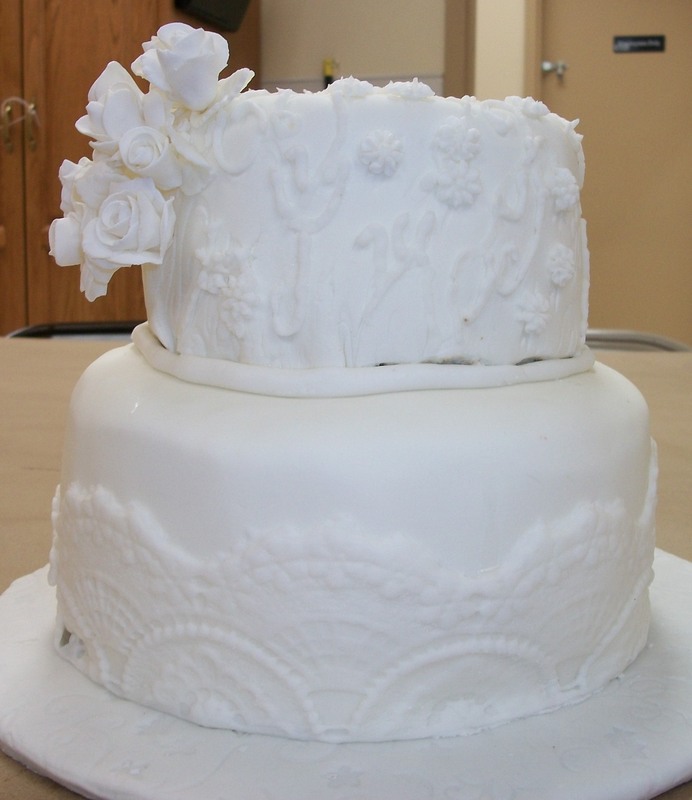 I forgot that when cakes get stacked, you need to have a plan for the border, and where I tried piping on the upper cake was a disaster because I was out of practice and made the icing waaay too thick, so I had to use a giant tip just to squeeze out the icing. So much for the dainty piping I had hoped for. I wasn’t distraught though because at least I knew where I had gone wrong. Plus, the flowers cascading down the side show some promise I think. 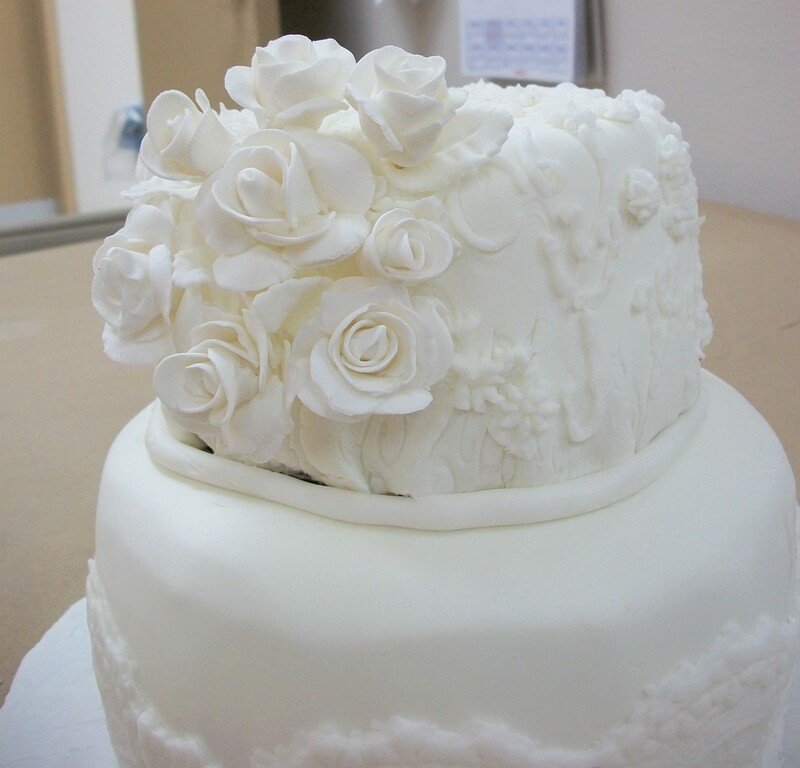 They took literally hours to make; think twice before you ever question the pricing of wedding cakes. And, here’s my second attempt at fondant. I made this for a family baby shower this weekend. 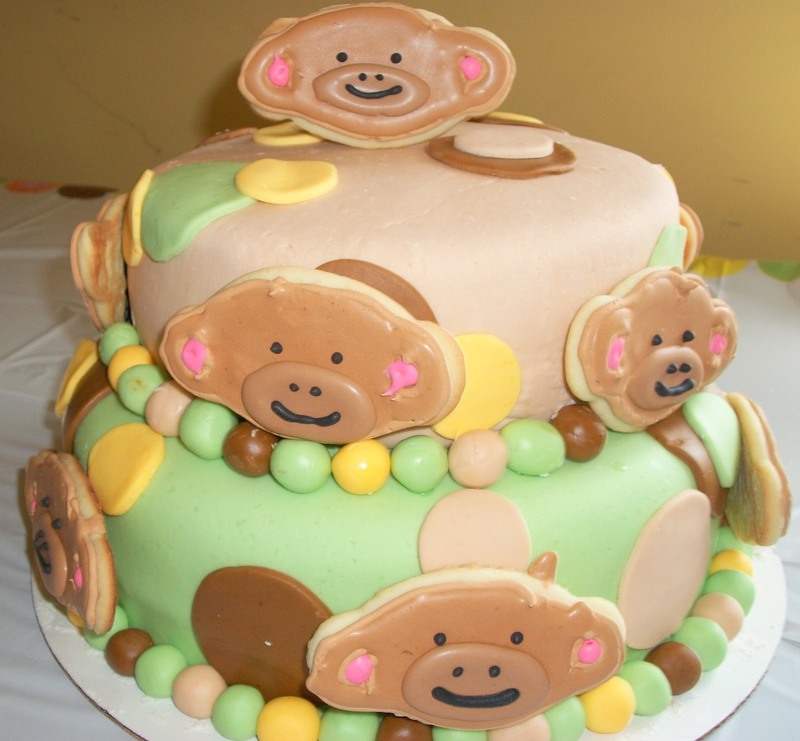 The shower and the nursery for the new baby have a monkey theme, so that’s where the cake inspiration came from. I need to get together some girls from church to gather some tips for color flow icing of cookies because I think I made them far more complicated than they needed to be though this did turn out looking like monkey faces, much to my relief. And, I promised Danielle a blog shout out. She arrived when I was finishing up the cake, long after my attention span and audio book had both run out. So, she was a cake saver and helped me roll all the balls for the border and came up with the pattern to put the border around the bottom of the cake.